More and more people prefer to view MP4 videos on their digital devices, like PCs, laptop or tablets. It makes sense, considering these digital devices are more portable. Converting DVD to MP4 is compatible with more devices. Moreover, it is also a good way to protect the original DVD. Every time you play the DVD, the DVD player or DVD drive will scratch on its laser layer. Finally, the laser layer was damaged too severe to be read. If you are searching for an appropriate tool to convert DVD to MP4, you can learn from this article. We will compare and identify the top 10 DVD to MP4 converter below. 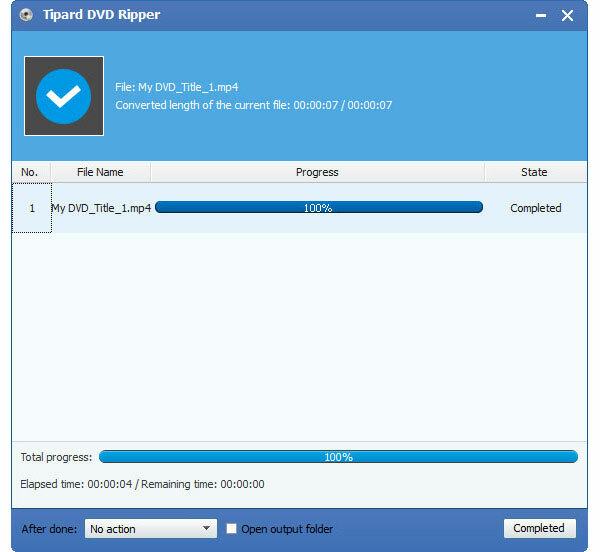 Tipard DVD Ripper is the best DVD to MP4 solution for converting any DVD to MP4, H.264, MPEG-4 video formats for computer and portable devices, like iPhone SE, iPhone 6s/6s plus/6/6 plus, iPad Pro, iPad Air 2, iPad mini 3, Samsung Galaxy series, etc. 1. Convert any DVD to SD/HD MP4 with super high quality. The built-in MP4 player enables you to play MP4 videos. 2. With it, you can enjoy 30X Fast converting speed. 3. If you want to convert and merge multiple DVD chapters, this application could help you achieve the task simply. 4. The intuitive interface makes this Converter easy to use and you can customize multiple settings before conversion. 5. Plentiful video editing tools are waiting for you to make personal MP4 videos. Download and install software on your computer. Click Load Disc and then you can insert your DVD Disc on your computer via DVD drive. Or you can drag and drop the video from DVD folder into this software. 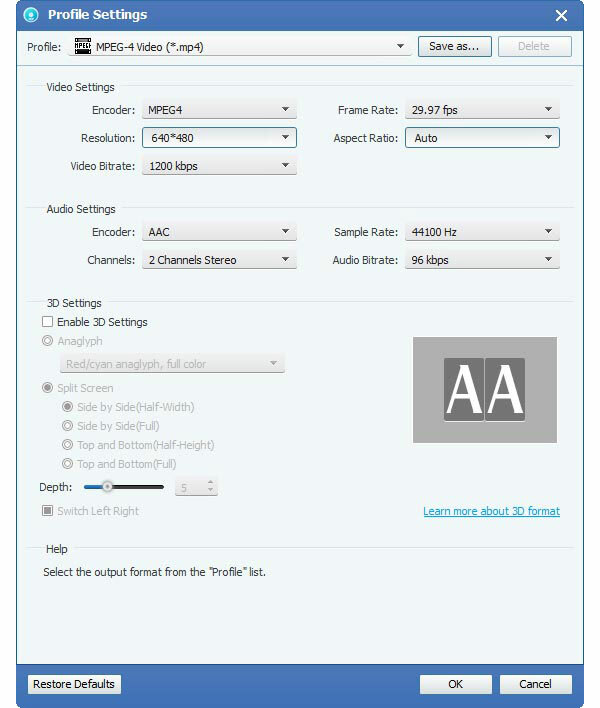 Unfold the Profile drop-down list on the bottom and choose an appropriate format among MP4 and HD MP4, and more. The edit functions can help you adjust brightness, saturation, volume, contrast and hue on original video before converting DVD to MP4. 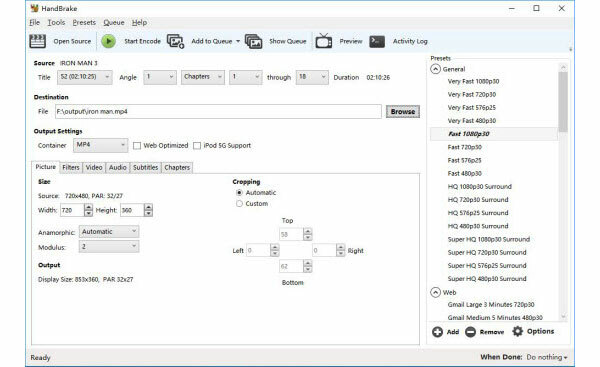 In addition, you can use the trim function to clip the length of your video. What's more, you can also add watermark personally and be able to rotate the video as you like. Click on the Convert button to convert DVD movie to MP4. With Leawo DVD to MP4 Converter, you can rip DVD into MP4 and various other formats like MP3, WAV, M4A, etc. 1. It is able to produce good quality MP4 videos playable with most media player software. 2. This DVD to MP4 converter is easy to use software. The DVD to MP4 conversion process is relatively straightforward. 3. Users could customize multiple parameters to control the conversion. 4. The customer service response needs is slow and sometimes need more than several days. WinX DVD Ripper Platinum is a dedicated DVD to MP4 converter for Windows computers. This converter could translate DVD into MP4, H.264, MPEG, WMV, MOV, FLV and more. 1. It provides a massive collection of conversion profiles. 2. User could customize conversion with extensive parameters. 3. 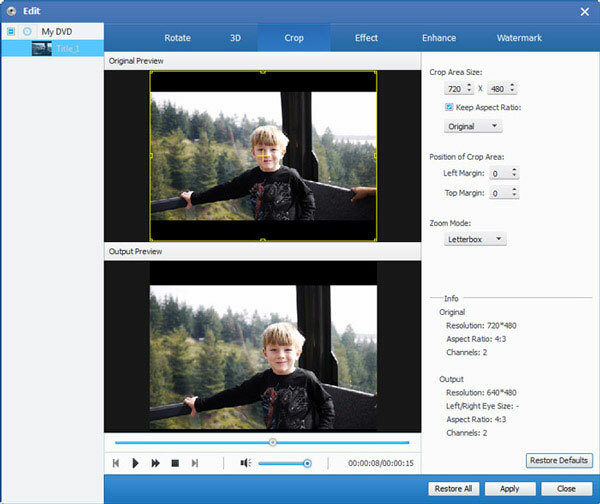 This converter has an editor with some basic video editing tools. 1. The quality of outputs needs to be improved. 2. The conversion speed is slower than other DVD to MP4 converters. Open DVD Ripper is a DVD to MP4 converter with a customized interface. 1. This converter is able to translate DVD into MP4 without quality loss. 2. It allows users to convert 2D movies into 3D ones. 3. Users could adjust the settings parameter to control the quality of outputs. 4. This converter is easy to use and performs DVD to MP4 conversions quickly. Unlike other DVD to MP4 converters, Magic DVD Ripper display all the settings related to convert DVD to MP4 on its interface. 1. This converter has excellent conversion speed. 2. The quality of MP4 exported from this application is relatively good. 3. Users could convert multiple video clips with its batch convert feature. 1. The interface seems too messy for some people. 2. This convert lacks some customization and optimization functions. Freemake Video Converter is a freeware that has the capacity to convert DVD to MP4 and AVI, MKV, WMV, SWF, FLV, TOD, AVCHD, MOV and more on Windows computer. 1. This converter supports most DVD formats and could transfer discs to playable digital video formats. 2. 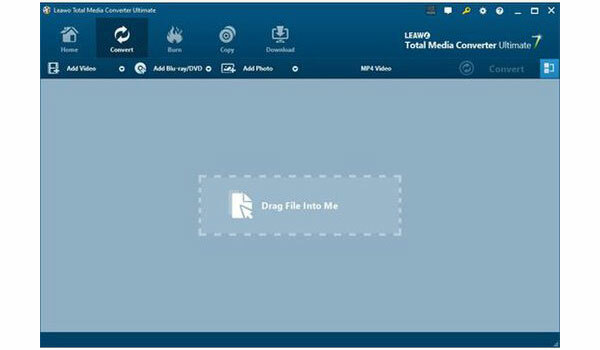 Freemake Video Converter has some video editing tools, like trim, crop and subtitles. 3. It is not a DVD ripper but also a DVD creator. 1. It is available to Windows only. 2. You have to spend longer time to load DVD for conversion. Handbrake is an open source DVD-to-MP4 converter that has the ability to output MP4 for PCs and portable devices. 1. This converter is compatible with Windows, Mac and Linux. 2. You can import videos from DVDs, Blu-ray discs and media folder. 3. Besides MP4, Handbrake also supports to export video at MKV and portable devices readable formats. 1. Users have to install libdvdcss to decrypt protected DVDs. 2. The DVD loading time is much longer than other DVD rippers. Format Factory is an all-in-one DVD ripper that supports to output MP4, AVI, WAV, 3GP, FLV and more video formats. 1. Compared to other DVD to MP4 converters, Format Factory supports more input and output formats. 2. Its interface is concise and easy to navigate. 3. The transformation process is simple to operate. 1. 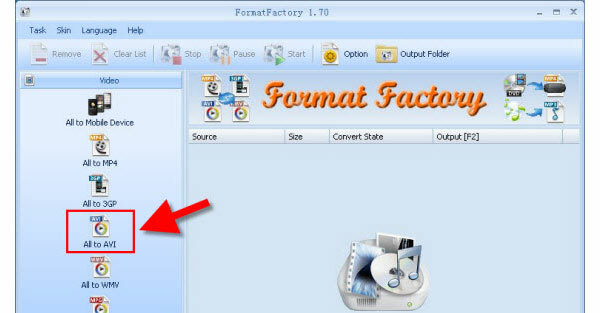 Format Factory is only available to Windows computers. 2. This converter cannot always converter encrypted DVDs to MP4 successfully. DVD Shrink is a popular DVD ripper that supports to export the ripped videos in MP4 format. 1. The speed to convert DVD to MP4 is faster than other freeware. 2. DVD Shrink also has the capacity to compress DVD movies. 3. The intuitive interface makes it easy to use, even for beginners. 1. This converter is not available to encrypted DVDs. 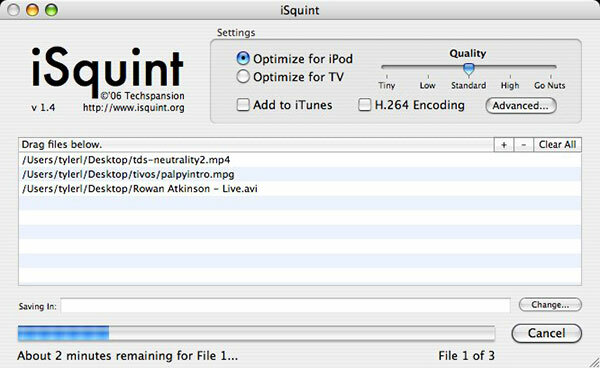 iSquint is a dedicated DVD to MP4 ripper for Mac computers. 1. This converter could transform DVD to MP4 and optimize for iPod or for Apple TV. 2. After ripping, iSquint is able to add the MP4 videos to your iTunes library automatically. 3. Users could control the quality of outputs by simply adjusting the slider. 1.	iSquint upgrade is paid, although not very expensive. 2. After converting, the subtitles will be replaced by number label.